Willow is desperately hungry for clues to the family life that preceded her, and especially Polly’s life pre-Willow. Why did she leave her hometown of Bethel, Louisiana, fifty years ago and vow never to return? Who is Garland Jones, her long-ago suitor who possibly killed a man? 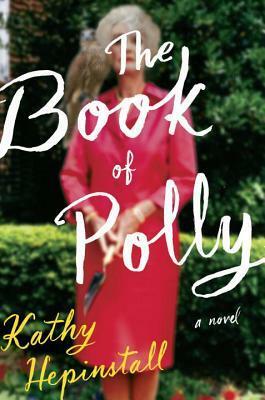 And will Polly be able to outrun the Bear, the illness that finally puts her on a collision course with her past? This was a good summer book. Light, funny, and not a lot of reading effort required. With seven books to her credit, several of which are on my TBR, Hepinstall is a solid member of the fiction world. To write about a young girl (Willow) so preoccupied with the death of her aging mother (Polly) was a little bit of a stretch for me. After all, I was a young girl once, and I know that an obsession about death is pretty far from the typical preteen’s mind. On the other hand, I like the treatment she gave to Willow’s older brother and sister. They were introduced on the periphery and the reader gets to know them both as they weave in and out of Polly and Willow’s every day lives. It was the perfect way to see quirks, likes, imperfections, and finally, the love they both have for the matriarch of the family. Digging a bit into the personal lives of each, but only as deep as you would as an outsider looking in, there really was a nice balance to their characters. Add a variety of colorful neighbors, a brother’s childhood friend who returns to their lives, and a dog who can smell cancer in people, and you have a pretty good ride. It’s not high literary fare, but it will hit the spot. In the newest addition to the universally beloved No. 1 Ladies’ Detective Agency series, the charming and ever-resourceful Precious Ramotswe finds herself overly beset by problems. She is already busier than usual at the detective agency when added to her concerns are a strange intruder in her house on Zebra Drive and the baffling appearance of a pumpkin. And then there is Mma Makutsi, who decides to treat herself to dance lessons, only to be partnered with a man who seems to have two left feet. Nor are things running quite as smoothly as they usually do at Tlokweng Road Speedy Motors. Mma Ramotswe’s husband, the estimable Mr. J.L.B. Matekoni, is overburdened with work even before one of his apprentices runs off with a wealthy woman. But what finally rattles Mma Ramotswe’s normally unshakable composure is a visitor who forces her to confront a secret from her past. . . . 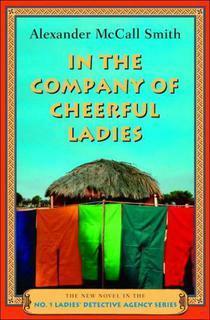 I adore this series by McCall Smith, “No. 1 Ladies’ Detective Agency”. I love the name of the main character, Precious. I love that she considers herself a “traditionally built woman”. I love that she has such pride in her homeland. Everything. I love it all. In this installment, we get to know more about the main characters, as well as being introduced to what I hope will be recurring faces. This is among the best of the “cozy mystery”, and I will read them as long as they are written. In his long-awaited first novel, American master George Saunders delivers his most original, transcendent, and moving work yet. 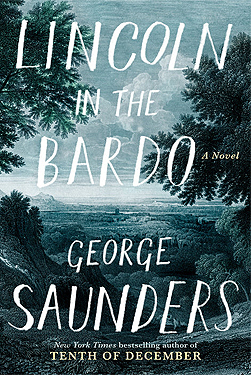 Unfolding in a graveyard over the course of a single night, narrated by a dazzling chorus of voices, Lincoln in the Bardo is a literary experience unlike any other—for no one but Saunders could conceive it. Everything about this book is a breath of fresh air. The story of a night where spirits welcome the young Willie Lincoln to the cemetery. It becomes apparent that many of them do not realize they are dead, and as they become increasingly aware, it is both traumatic and funny. The genius here is the story being told using historical text and perceived ghostly musings in tandem. Every comment is attributed to its source. With the insight of the historical records and the reflections of the spirits, the story is beautifully full and packed with feeling. The dawning on both Lincolns that Willie is not coming back, as well as the true situation dawning on the spirits, impact the story with a gentle but unwavering look at the reality of death, acceptance of it, and moving on from it. 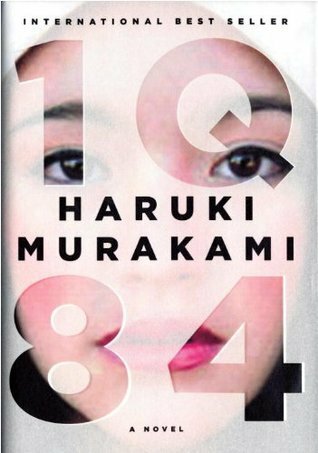 This is a book that I will buy to read again and again. Highly recommended. An obsessive young woman has been waiting half her life—since she was twelve years old—for this moment. She has planned. Researched. Trained. Imagined every scenario. Now she is almost certain the man who kidnapped and murdered her sister sits in the passenger seat beside her. Carl Louis Feldman is a documentary photographer. The young woman claims to be his long-lost daughter. He doesn’t believe her. He claims no memory of murdering girls across Texas, in a string of places where he shot eerie pictures. She doesn’t believe him. Determined to find the truth, she lures him out of a halfway house and proposes a dangerous idea: a ten-day road trip, just the two of them, to examine cold cases linked to his haunting photographs. Is he a liar or a broken old man? Is he a pathological con artist? Or is she? Julia Heaberlin once again swerves the serial killer genre in a new direction. 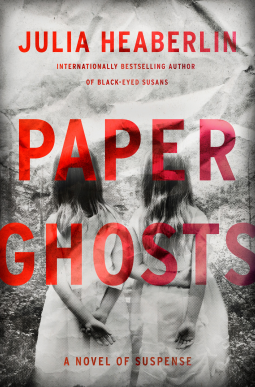 With taut, captivating prose, Heaberlin deftly explores the ghosts that live in our minds—and the ones that stare back from photographs. You won’t see the final, terrifying twist spinning your way until the very last mile. It took me a while to read this one because I would get so frustrated with the main character that I had to put it down. Because I am reviewing this advanced reader copy from NetGalley, I felt compelled to pick it back up again and again to finish it. For a woman who had been planning 1/2 of her life to track down a serial killer, she was remarkably ill-prepared and naïve. When she checks him out of a facility for dementia patients to take him on a cross country trip, they leave with a list of his “conditions”, to which he continues to add. What? Who is in charge here? Her plan is to visit all of the places where she believes he killed, and see if there is any recognition in his eyes on where her sister may be. It is clear from the beginning that she has not thought this through, and that Carl is much smarter than she even on one of this bad days. Frustrating, overly detailed, and anti-climatic, I can’t recommend this one when it is released in May 2018. Thank you to NetGalley for a copy of this book in exchange for my honest review. Even though I put this one down, I am giving it 2 looks because I did read to page 223 before deciding to abandon it. Interestingly enough, I asked fellow reader Sarah if she had read it, and she told me that she, too, put it down about 1/2 way through. To pen a book that wraps it all up in the end is an intriguing method of writing, but it has to be interesting enough until you get to the solution in order to keep the reader. That is where this book failed me. The characters were all very different, with developing pasts, and their trajectories were clearly going to intersect. However, none of the five primary characters had any hold on me. I was completely uninvested, but wanted so badly to like this one that I plowed through over 200 pages. Perhaps there was something lost in the translation from Japanese to English, and I was quite interested in the fact that one person translated the first two sections, with someone else translating the last section. I wanted to like the book enough to read it all and ruminate over any differences in style from the translators. However, it was not meant to be. I put this one down after trying again and again to get “into” it. When there are excellent suspense novels ripe for the picking on the shelves of the local library, this one does not hold muster. I did a quick survey on social media when I found myself struggling with the book, and found that it is quite polarizing. People either love it or hate it. Well, count me as one of the latter. In this deeply suspenseful and irresistibly unnerving debut novel, a man and his girlfriend are on their way to a secluded farm. When the two take an unexpected detour, she is left stranded in a deserted high school, wondering if there is any escape at all. What follows is a twisted unraveling that will haunt you long after the last page is turned. 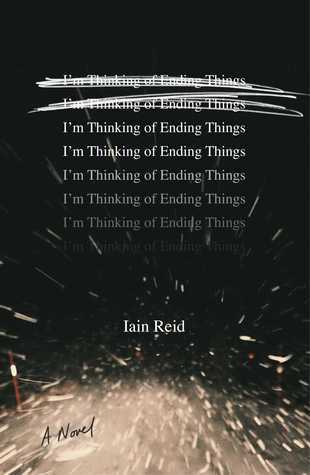 In this smart, suspenseful, and intense literary thriller, debut novelist Iain Reid explores the depths of the human psyche, questioning consciousness, free will, the value of relationships, fear, and the limitations of solitude. Reminiscent of Jose Saramago’s early work, Michel Faber’s cult classic Under the Skin, and Lionel Shriver’s We Need to Talk about Kevin, I’m Thinking of Ending Things is an edgy, haunting debut. 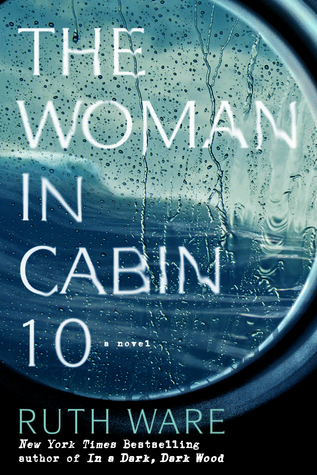 Tense, gripping, and atmospheric, this novel pulls you in from the very first page…and never lets you go. I started this one over three times. It was so easy to put down when I needed more time or was feeling overwhelmed. However, it was also very easy to read, enabling me to start from the beginning each time. At less than 300 pages, I felt as if I had to finish it. The story was interesting enough. I didn’t get a good feel for any of the characters, and was not overly surprised by the ending. Some of the scenes felt forced, some of the dialogue choppy, and internal monologues were a bit too heavy-handed. However, because of the nature of the “surprise” ending, all of these things may have been as-designed. With a little more writing experience, I expect this kind of thing will naturally fall into place. It read like a first novel, and upon looking, found that it is Reid’s first novel, but not his first book. Because it was fairly easy to read, and because I am intrigued by the title of one of his previous works (“The Truth About Luck: What I Learned on my Road Trip with Grandma“), I am not yet crossing him off my list of TBRs.